Died: 31 May 1932, Durban, South Africa. H.J. Thode, teacher and naturalist, came to South Africa around the beginning of 1886 and began collecting plants and compiling notes on the flora of the south-western Cape. About August 1887 he moved to the eastern Cape, and from January 1888 to December 1889 collected mainly in the King William's Town and East London districts before moving to Natal. He visited the Natal Herbarium, Durban, several times over the years, where John M. Wood* helped him to identify specimens. In October 1890 he travelled to the Drakensberg, but failed in his attempts to climb Cathkin Peak and Champaign Castle. Returning to the mountains in November 1891 he reached the summit of Mont-aux-Sources and ascended the mountains at Langalibalele Pass. Thus he became the pioneer collector in the higher regions of the Natal Drakensberg, to be followed a few years later by H.G. Flanagan*, H. Bolus*, and M. Evans*. He climbed Mont-aux-Sources again in February 1893, this time from the Free State side, and stayed in the region until June 1894. To support himself financially Thode worked as a temporary teacher at mission schools and on farms, collecting in his spare time. When he completed his collection in one region he moved on to another. Following this pattern he travelled all over South Africa until 1931, collecting in the Natal coastal regions (1891-1906), the Natal Midlands (1894-1895, 1897, 1903-1904, 1906), the Drakensberg (1895-1897, 1899-1900, 1902-1904, 1905), the western Cape (1897-1899), the Karoo (1903), Natal (1908-1920), Transvaal (1924, 1928-1931), Free State (1925), and Cape Colony (1925, 1929-1930). He sent large numbers of specimens to H.G. 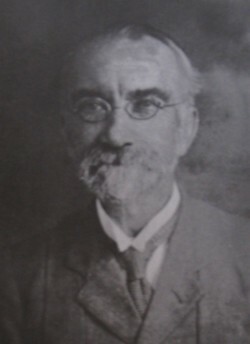 Adolf Engler*, professor of botany at the University of Berlin and director of the botanic gardens and herbarium there. About 1920 he sold his personal herbarium, collected during 1886-1920, to Stellenbosch University. After his death the Division of Botany purchased over 2800 of his later specimens for the National Herbarium, Pretoria. Duplicates of these specimens went to Kew Gardens and the Natal Herbarium. His specimens were of good quality, but often lacked adequate field notes. He did not collect grasses. Using the name "J. Thode" he published several botanical papers, all of them of a high standard and demonstrating his keen powers of observation. In "Die K�stenvegetation von Britisch Kaffrarien und ihr Verh�ltnis zu den Nachbarfloren" (The coastal vegetation of British Kaffraria and its relation to neighbouring floras, Botanische Jahrbuch, 1890) he compared the coastal vegetation of the East London and King William's Town districts with that of Natal and the south-western Cape. His second paper, "Die vier Jahreszeiten am Cap: Ein Vegetationsbild der Halbinsel" (The four seasons at the Cape: A representation of the vegetation of the peninsula, Naturwissenschaftliche Wochenschrift, in four parts, 1892) demonstrated his detailed knowledge of the flora of the south-western Cape and contained a plea for the adoption of conservation measures. In "Die botanischer Hohenregionen Natals" (The botanical altitudinal zones of Natal, Botanische Jahrbuch, 1893) he accurately described the vegetation zones at various heights above sea level in Natal, being the first to do so, and demonstrated his competence as a plant geographer. In 1901 he read a shorter English version of this paper before the Durban Field Naturalists' Society, which published it in the form of a pamphlet entitled The botanical regions of Natal determined by altitude (Durban, 1901, 16p). In later years he published three short notes with descriptions of new species: Leucadendron natalense (1913), Bowkeria citrina (1922), and Pyrenacantha cordata (1924). Thode was a slightly built man, with a moustache and small beard, habitually dressed in a brown suit buttoned to the top, a wide-brimmed hat or helmet, and wearing his thick-lensed spectacles. He was an accomplished pianist, wrote poetry, and spoke several languages. Thirteen plant species were named after him, including Disa thodei, Kniphofia thodei, Holothrix thodei, Erica thodei, Manulea thodeana and Osteospermum thodei. Killick, J.B. Hans Justus Thode (1859-1932), pioneer plant collector in the Natal Drakensberg. Bothalia, 1977, Vol. 12, pp. 169-175.